Luckily for you, the wedding day is not where the fun ends. Over 1.4 million American couples get to enjoy a honeymoon trip each year. After the chaos of planning a wedding and the build up of nerves before the big day, many couples need some time away to relax and celebrate the start of their lives together. The average honeymoon lasts eight days, and costs nearly $5,000. So where are honeymooners choosing to escape to? In this article we will show you some of the most popular honeymoon destinations of the year. Travel in style and don’t forget to send custom greeting cards to your family and friends so they can hear what a wonderful trip you are having. So get ready to pack those bags, here are the Top Honeymoon Destinations in 2012. The Isle of Crete is the perfect escape for those couples who are looking for some sun and sand. Crete is one of the largest Greek islands and offers a variety of different daytime activities, beaches, hotels, restaurants and nightlife. Crete is often described as having four distinct regions, differing dramatically, from jungles to the beach front. Crete’s diverse regions mean any couple can find their perfect vacation on the island. If you enjoy historical activities, consider planning day trips to ancient historical sites, such as The Palace of Knossos. The Palace of Knossos was built in the 15th century by ancient inhabitants of Crete as a palace for their kings, and also a tribute to the mythical creature, the Minotaur of King Minos. If leisure is more your style, than you will enjoy lounging on the white sandy beaches of Crete’s shoreline, which offer thousands of miles of crystal blue water. You may also enjoy Crete’s thriving shopping city, Agios Nikolaos, which features streets lined with luxury boutiques. No matter where your interests lie, you and your significant other are bound to find the dream vacation you are looking on the Isle of Crete. Do you love the beautiful French culture found in Paris, but wish you could avoid the hundreds of thousands of tourists that flock to France’s capitol each year? If so, than Martinique is the perfect destination for you. The French island embodies the rich, luxurious culture of France but also combines a mix of spicy Creole culture in the mix. Martinique has thousands of untouched, stunning landscapes and pristine beaches. Border by the Atlantic Ocean on the eastern coast and the Pacific Ocean on the western coast. The official language of Martinique is French, and many popular traditions and culture still remain from the mainland of France but the popular Creole culture and people have morphed the traditional French culture into their own blend of Caribbean lifestyle. If you are looking for some informational fun, check out one of the many monuments and historial sites on the island, such as the Anse Cafard Slave Memorial, or if you are looking to grab some fresh air enjoy the stunning Balata Gardens. If you are truly looking to relax in luxury then consider heading up north to the quaint skiing village of Banff in the Canadian Rockies. This charming town is reminiscent of Switzerland with its many chalets and ski resorts. If you visit Banff during the Winter months you will find some of the best skiing North America has to offer. If you travel to Banff when there is no snow, you will find endless amounts of hiking trails and mountainside expeditions. Banff is also known for its upscale boutique shopping and five star restaurants. Enjoy the romantic setting as you and your loved one curl up next to the fire in your log cabin, or head into town for a fun night out amongst Banff’s active nightlife. The main town area in Banff offers a wide variety of nightclubs and bars with live music and entertainment. Take a trip up one of the many ski lifts of the Banff Gondola, which rises 7,500 feet into the air, to see the mesmerizing Banff landscape and views of the nearby Bow Rive Valley. Turks & Caicos has been the destination of choice for many celebrities and individuals seeking the ultimate luxurious getaway. Turks & Caicos caters to an affluent clientele and aims to make you feel like royalty the moment you arrive on the island. 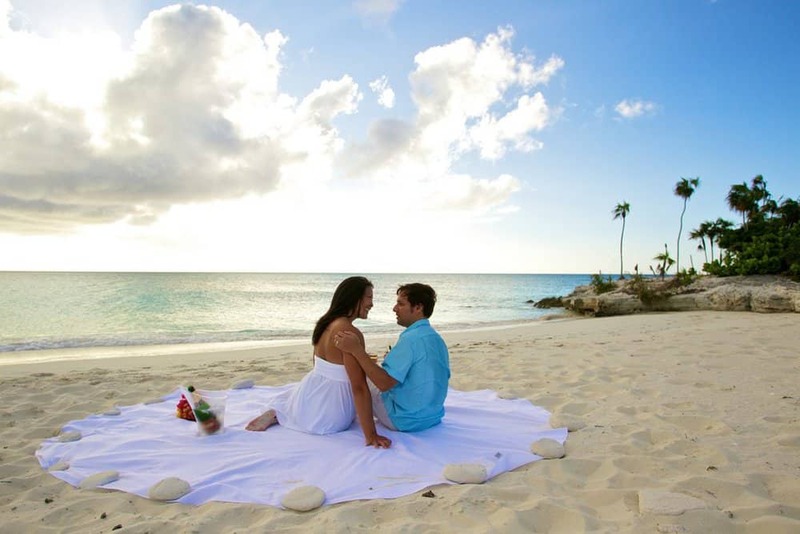 While Turks & Caicos has many upscale, all-inclusive resorts, it is also the least developed island in the Caribbean allowing the island to retain its natural beauty and creating an intimate, romantic setting for you and your partner. If you and your loved one are looking to relax, consider a day at one of Turks & Caicos indulgent spas. These spas import ingredients and minerals from all over the world to provide some of the most healing spa treatments in the world. Afterwards, enjoy a night out at one of the island’s splendid restaurants, which feature some of the best seafood in the Caribbean. If you like to stay active, jump into the ocean for some amazing scuba diving and snorkeling experiences. Turks & Caicos is home to over 5,000 different species of fish and aquatic animals, which makes for unforgettable views. If you are looking to experience a completely different way of life, consider having your honeymoon in Madrid, Spain. Take a leap of faith and live life like the Spaniards do, staying up all night dancing and eating, and enjoying afternoon siestas in one of Madrid’s enormous natural parks. Learn a new dance move, and try out some Flamenco at one of Madrid’s hottest clubs or visit one of Madrid’s three world famous art museums, Prado, Thyssen-Bornemisza or the Queen Sofia Arts Center. If your loved one is a sports enthusiast they will love visiting Bernabeu Stadium, the town’s football stadium and home of world-famous football team Real Madrid. With so many luxurious honeymoon options available you will wish you could go on your honeymoon again and again. Visit one of these top five honeymoon destinations for 2012 and you and your partner are guaranteed to have an unforgettable time no matter what you do. Wedding gifts have a special meaning to it, and Indian wedding gifts are something that reflects the rich cultural heritage. In India it’s said that it’s not the gift that matters it’s the intention and feeling of the giver that matters. A wedding gift can be received as wedding favor and given as gift. From simple bouquet of flowers to gold and diamond jewelry you can give anything that suites your taste and budget. 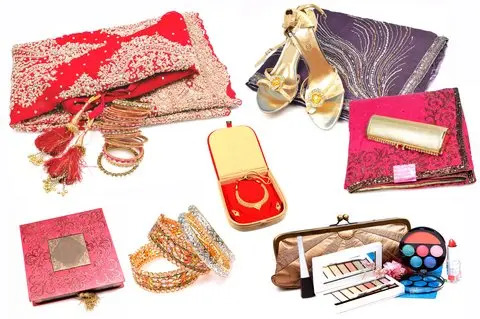 Different guests give different types of gifts, like the blood relatives usually give jewelry as a wedding gift for the brides and for the groom it can be anything expensive. Silver is something that most of the distant relatives prefer to give it can be anything like silver coin, lamps to silver plates and idols of gods. 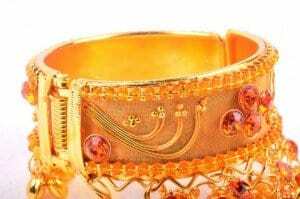 Close relatives mostly prefer to give gold jewelry instead of silver. Some of the most popular traditional Indian wedding gifts are coins made out of precious metals like gold and silver. There are 10 gram coins as well as 100 gram coins and one can engrave the bride and grooms name or date of the wedding, making it a personalized wedding gift. Traditionally it was the idol of gods and goddesses printed on to the coin. For the budget minded, when it comes to buying Indian wedding gifts for bride, a popular choice is cloths. Traditionally it used to be sari that was gifted but now a day’s people give all kinds of cloths, something the bride loves and can be worn after the marriage. Other popular wedding gifts are couples watches. You will not have to worry that you just gifted something to the groom and not to the bride. A couple’s watch is perfect during such a dilemma. Perfumes are good wedding gifts too, if you know the taste of the couple then you can gift them perfumes too. If you are looking for traditional Indian wedding gifts then you can get show pieces that represent Indian culture. It will be something that will remind the couple about Indian tradition and you. Show pieces can be anything from miniature versions of famous Indian monuments to tribal handicrafts. Nowadays, most couples sign up for the Gift Registry at popular bog box stores, like Macy’s, Lord & Taylor. In such a case your work is reduced even more, as all you have to do is select and buy the gifts from the list that the couples have already selected. So, take advantage of the gift registry for the best Indian wedding gifts for the newlyweds. Looking for an Exclusive Chicago Wedding Venue? Stunning, beautiful, mesmerizing are some of the things you would say after seeing some of the Chicago wedding venue. This windy city has a lot to offer when it comes to wedding venues from luxury hotels to resorts and clubs you can get whatever you want. There are many places to choose from, but at first you need to plan everything. You have to decide which type of venue you want. Then you can start looking for places similar to that. Planning in advance helps because you will not be stuck in a place where you never wanted to get married. Secondly you must think about the accessibility of the place. Whether the place is near to your home or where the guests staying etc. Thirdly the size, which does matter in case of Chicago wedding venue because it has to accommodate all your guests comfortably. Finally the type of wedding you are going to have and the theme. If it’s a day wedding then outdoors are perfect, and banquet halls are great for a night wedding. There are many wedding venues that will suite your requirements. 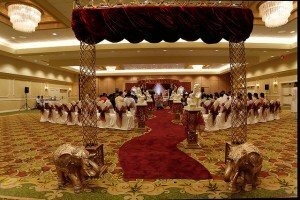 From banquet halls to lake front resorts and theaters there is a venue for every taste and style. There are amazing mansions at Chicago land area, Winnetka and Alsip which can be perfect for all the wedding festivities. There are some amazing golf clubs and exclusive country clubs at Orland Park, Wheaton and Tinley Park, Bolingbrook etc. There are beautiful banquet halls at Glen Ellyn, Killdeer and Deerfield too. 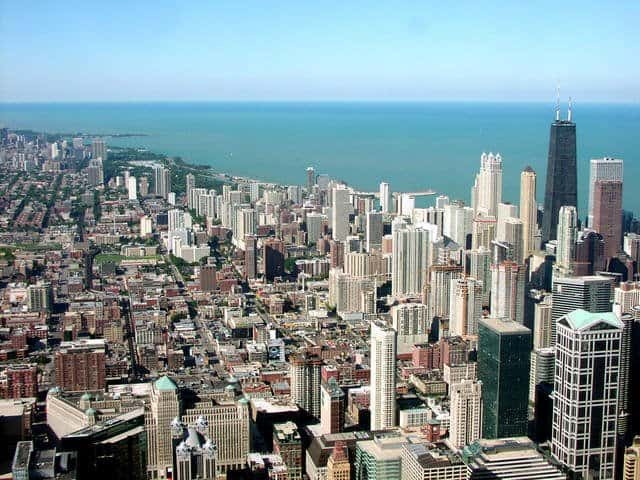 If you looking for a perfect Chicago wedding venue in the city downtown area, there are so many options from luxury hotels to libraries & museums, or special event space, like Navy Pier with spectacular view of Chicago skyline or lake Michigan. As for wedding reception venues there are some good Indian restaurants with banquet halls as well that can host the reception. Thus you will get a great venue as well as authentic Indian food. The budget is very important. If you do not want to spend a fortune just on the venue then there are small wedding venues and they are affordable ones too, yet classy. Some park districts also have excellent wedding venues, like the Villa Olivia in Bartlett. It’s the ceremony that matters, not the size of the venue. As a matter of fact there are some great small and mid size budget banquet halls for Chicago wedding venue, which can be perfect for the wedding and any other receptions. Wedding favors are souvenirs something to remind everyone about the wedding. When it comes to buying Indian wedding favors you can always opt for things that reflect the vibrant Indian culture. The one thing you need to consider before finalizing the wedding favor is the guest. You might want to buy different gifts for different guests. Like you can buy something similar like dresses or jewelry to all your relatives and something else to all the other guests. You can buy anything you want as long as it matches your taste and expectations. In case you want to buy something traditional, something that strongly represents your culture, a small idol of Lord Ganesha or Ganesh and Lakshmi together will be perfect. You can get a puja thali which can be used by your guests for all the rituals. Diya is considered to be pure and holy and it’s used for every major occasion and you can get one in brass, silver as well as gold. For Islamic wedding, Kaaba shaped box that holds the holly Quran is a great gift idea. Religious messages in a decorated frame are also very popular Islamic wedding favors. Nowadays personalized wedding favors are popular too. Most of the items are reasonable; it can be anything with the name or photo of the bride and the groom, or their date of marriage. From dinner sets to a simple cup or a photo frame you can get everything personalized. You can also combine few things that the bride and groom like and make it like a hamper. A wedding favor is like saying thank you with a gift. It is something that should reflect the style and liking of the couple. So, you should buy something unique and different. Usability is very important, if you give something that cannot be used by your guests then that would be a waste of money. So, try to buy something that they will use. As per the budget it’s your choice, but you need to decide that first then you can carry on with the shopping for Indian wedding favors. 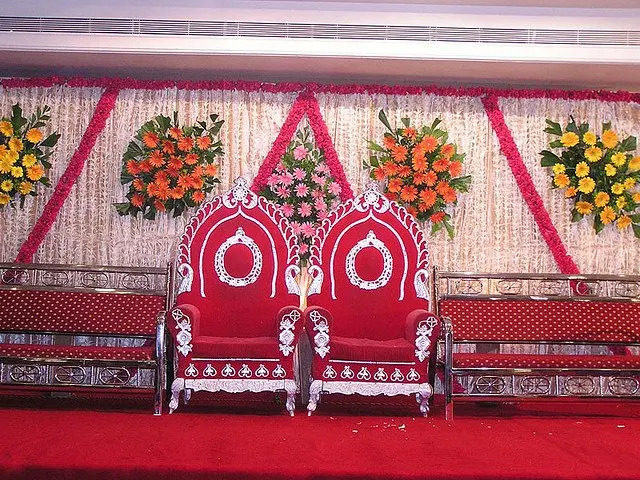 Indian wedding planning starts months ahead of the ceremony, because wedding planning takes lot of time in planning and preparation to make it a memorable event of one’s life for this auspicious occasion. 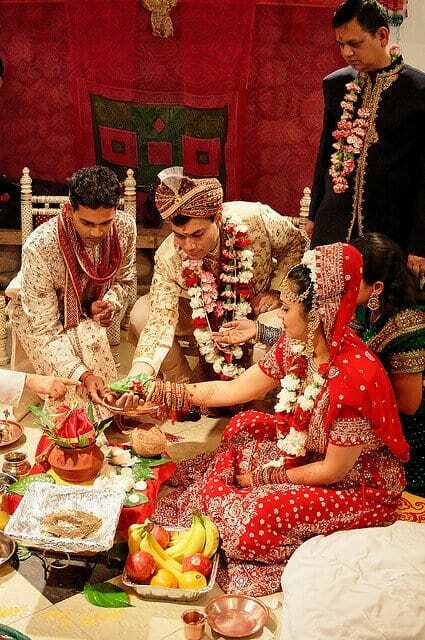 In Indian culture it’s not just the union of two souls, it’s the beginning of a journey for the two families too. Thus it’s the mark of mutual respect and reputation. For Indian wedding planning you can hire an Indian wedding planner who will take care of the ceremony just like a family member would do. Wedding cards selection is one of the first thing on the checklist. Like the Indian weddings, Indian wedding cards are bright and colorful too. There are many choices for wedding cards from traditional themes to scroll invitation with exquisite designs. You have to start sending them months before the event or else it won’t reach everyone on time. You can talk about it to your planner, they will show you the samples and you can customize it according to your choice. 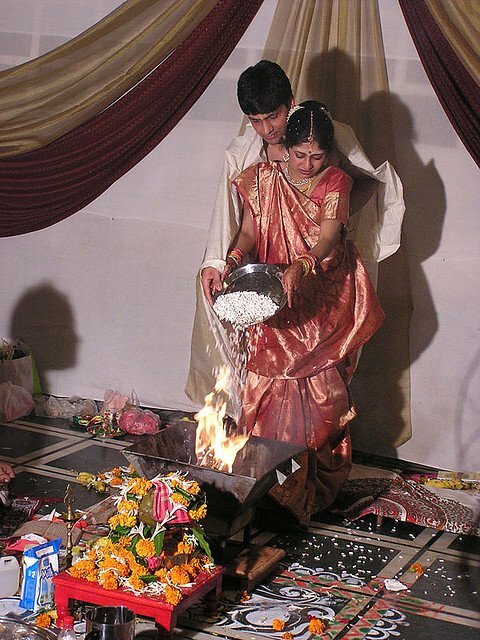 The most important thing during Indian wedding planning process is set your budget. Once set, everything else can be done keeping the budget in mind. The wedding budget depends upon you and how much are you willing to spend. 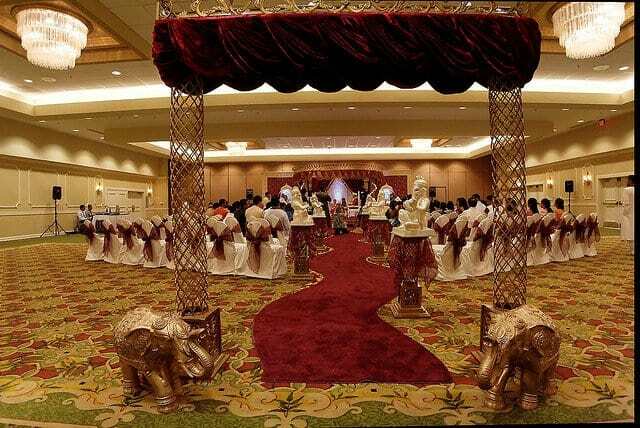 You can have a multimillion dollar wedding, or a plain and simple traditional wedding costing few thousands. No matter what the budget is, the main aim of the planner will be to make it the best day for the couple and their families. More or less a traditional wedding will cost you somewhere from $2000-$10,000 for a budget wedding to around $25,000-$75,000 and more for a large guest list in exquisite reception venues, with decorations, and live entertainments. Then comes the venue which has to be booked months in advance because once the season starts it becomes harder to get the popular venues. After venue, you will have to think of a theme of your wedding if you really make it memorable and enjoyable experience for you and your families. From the main stage or mandap to the dinner tables, even the chair back covers – everything has to be coordinated and match the theme you choose. A theme can be vibrant and colorful as well as sober yet stunning. All you need to do is choose one from an array of themes shown to you by your wedding planner. That is why it is so important to select a creative wedding planner and wedding vendors for your special day. Music is an integral part of Indian culture and an Indian wedding cannot be considered to be complete unless there is a good song playing. From traditional numbers to latest chartbusters you can get everything. If you want to have a DJ or a karaoke machine you can get that too. 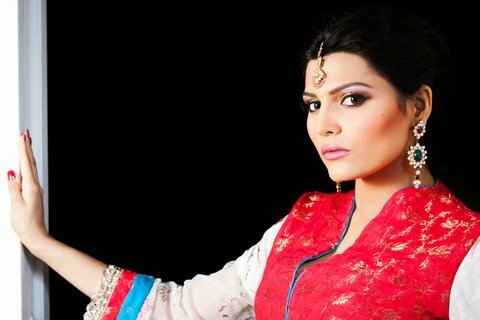 There are a number of DJs who specializes in Bollywood music and East-West fusion entertainments. Another major part of Indian wedding planning is the food from traditional Indian thalis to Italian and Mexican, the menu has to be as good as the venue. You can select a caterer who specializes on western dishes, but nowadays lots of Indian restaurants are offering a fusion menu, where you can select an array of favorite traditional Indian vegetarian and non-vegetarian menu as well as Italian, French or Mexican menu. Basically, you can get whatever you want – all you need to do is specify your likings and you will get exactly that. Wedding Cakes are really popular these days, so you can get one in the favorite flavor with nice decorations for the newlyweds. The Indian wedding celebrations starts months ahead and the wedding lasts for hours, but the memory lasts a lifetime. Thus having a dream wedding is what every bride and groom wants, so start your Indian wedding planning early for the big day! When it comes to Indian Wedding Themes all you need to think about is the liking of the lovely couple and something to embrace and show the colors of Indian rich culture. Something you would like to have in your wedding that will bring a piece of that vibrant country. This thought is enough to trigger various Indian wedding themes to your mind. The vibrant Indian wedding colors can be best exposed in this theme. All you have to do is add a splash of color to everything from dresses to decor and food. It’s like an anti black and white theme, where everything will be colorful right from the pre wedding festivities to the bidaai. In case of an outdoor or day wedding, you can have colorful tents and at night the place can be lit with bright colorful lights. The colorful Peacock has been a part of Indian culture for centuries. So, what’s better than capturing the beauty of this vibrant bird in your wedding? Starting from your wedding card, you can get peacock printed on your tableware and decorate the mandap. It’s a very popular design on bridal dresses too. If you want, you can even ask your organizers to bring one bird for real. If not then its colors would be everywhere, so you won’t miss it. How can one forget those golden days of dancing around the trees and old time classic numbers? Nowadays people bring Bollywood to your backyard, “if your venue is your backyard, that is”. From posters of classic movies to dancing in the rhythm with the latest hits you can get every bit of Bollywood in your wedding. From tables named after movies to guests dressed as famous Bollywood couples, it will be a fun theme for all the Bollywood fans out there. Just use your imagination! There are many other themes like first date, dream or fairy tale, garden theme, medieval theme every theme can be made exciting and colorful according to your choice. Flower is the major part of the décor in any Indian wedding themes, but one can use anything from cloths to glass pieces to make the venue elegant and beautiful for the big day. When it comes to Indian wedding themes, it depends upon the couples, what they want. If you want each and every ritual exactly like that of your parents and grandparents used to practice, then you can get that too. If you want follow just the essential rituals, then your planners can arrange that too. The budget is very important so the theme must try to stick within the budget. Indian weddings are events that last for days it begins from sangeet, mahendi to the main marriage, and bidaai. Thus there can be different Indian wedding themes on different events.